For over 30 years we've been keeping motorists around Bristol on the move. Our experienced professional mechanics have worked on classic cars, commercial and fleet vehicles and performance motorbikes as well as most other vehicles in between. We have used our expertise to deliver a garage service that best suits our customers needs. We can provide parts at the most competitive prices whether you are looking for the most economical way to get your vehicle back on the road or performance parts to get the most of your driving experience. With our customers in mind, we also offer a free, fully insured collection and delivery for all types of vehicle so you can get on with your day and let us take care of everything. 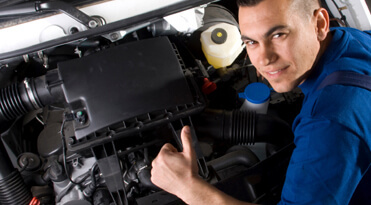 Call us today and find out why we're a leading Bristol garage. CMR Mots has highly trained staff and mechanics. Together these experienced teams form a leading Bristol Garage, MOT Centre and Commercial vehicle specialist. CMR Mots has been running since 1987 giving the staff a wealth of knowledge regarding the service and repair of all domestic and commercial vehicles. CMR Mots aims to provide you with a truly professional service. Its convenient location makes it ideal for tyres and exhaust repairs.